Leading the way in mobile frost fighting. 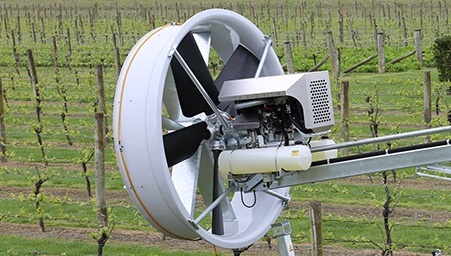 "A wind machine that brings efficiency, affordability, and mobility to frost protection"
The unique design of this fan can provide effective frost protection for all crops even when grown in valleys or on hills. 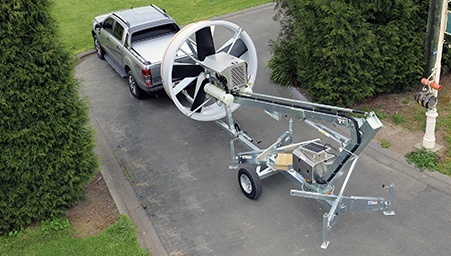 The ability to angle the Tow and Blow impeller as well as horizontally oscillate the fan head for these applications allows exceptonal versatility. 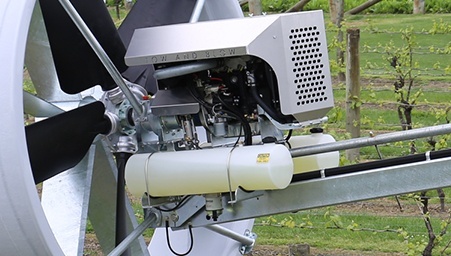 No installation costs, no bulding permits or consents, incredibly quiet, low fuel consumption, along with auto temperature start are all features that set Tow and Blow apart from traditional tower fans. 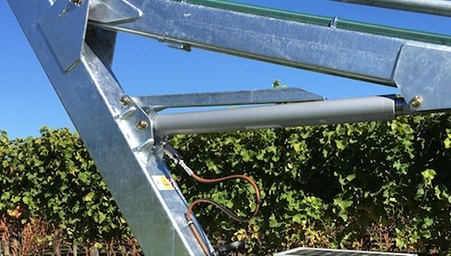 Can be used for drying fruit pre harvest and before pruning. 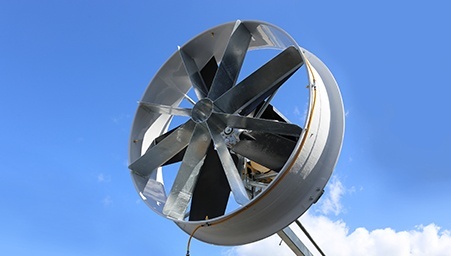 Can be fitted with an evaporative water mist system for cooling livestock or people. Can be used for de-frosting air craft. Quiet with a nosie level of only 45 -50 decibles at 300m. 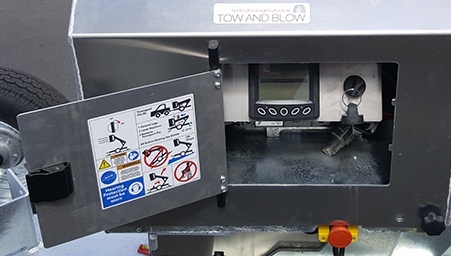 Full 360 degree rotation or partial swivel settings available. Portability is second to none. Easily transported behind a tractor or vehicle. Stabiliser support feet are lowered to a secure position and the machine levelled for operation. Servicing is simple. The boom is lowered to ground level to service the engine and impeller. Extended fuel lines are available for remote tank set up.